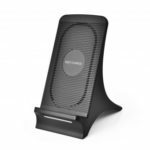 This S8 Fast Wireless Charger Charging Stand Pad is compatible with all Qi devices. 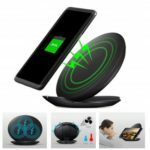 It can easily convert your wireless charger from a pad to a stand, allowing you to enjoy movie, music, reading and video calling while charging, convenient and practical. 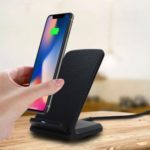 Easily convert your wireless charger from a pad to a stand. Can transfer a faster charge to your device for fast charging. 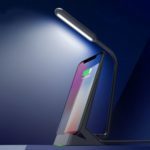 Strongly compatible with all Qi-enabled devices, such as iPhone 8/8 Plus/iPhone X, Samsung Galaxy Note 8/S8/S8 Plus/S7/S7 Edge, etc. Charge your phone vertically or horizotally. 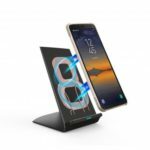 Allows you to enjoy movie, music, reading and video calling without interrupting while charging.